David Keaton, the first man exonerated from death row in the modern era of the death penalty (1973-present), died on July 3 at the age of 63. Keaton was convicted and sentenced to death in Florida in 1971 for the murder of an off-duty police officer. His conviction was based on a coerced confession and erroneous eyewitness testimony. In 1973, the actual perpetrator was discovered because of new evidence, and Keaton was exonerated. 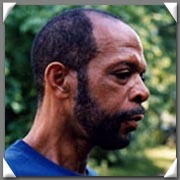 In 2003, Keaton became a founding member of Witness To Innocence, an organization of death row exonerees who share their stories to educate the public about the death penalty. Kathy Spillman, director of programs and outreach at Witness To Innocence, said of Keaton, "His life was very difficult. He was sentenced to Death Row as a teenager. And like all exonorees, he struggled with issues related to being on Death Row and integrating back into a society that does not provide support for these men and women. [Yet], he was stoic and very gentle. He was a poet and a singer and whenever he got the chance, he participated in activities against the death penalty so that nobody else had to go through what he did." Since Keaton's exoneration in 1973, an additional 153 people have been exonerated from death row. (G. Ensley, "Quincy Five's Keaton, exonerated from Death Row, dies," Tallahassee Democrat, July 8, 2015.) See Innocence.